The Old Course Hotel in St. Andrews is known throughout the world as a luxurious five star hotel at the home of golf. If a celebrity is staying in St. Andrews to play on perhaps the most famous golf course in the world, there is a high chance they will be staying at the Old Course Hotel. This weekend I was lucky enough to have afternoon tea in their conservatory to celebrate one of my oldest school friend's 21st birthday and graduation from university. I wasn't intending on blogging about it as it was a birthday celebration and I thought it would be a little weird to be taking pictures of everyone's food and to be honest I was there to have a nice time, but I couldn't help myself taking a few quick snaps. When I got home and saw how well they turned out I couldn't not put them in a post! 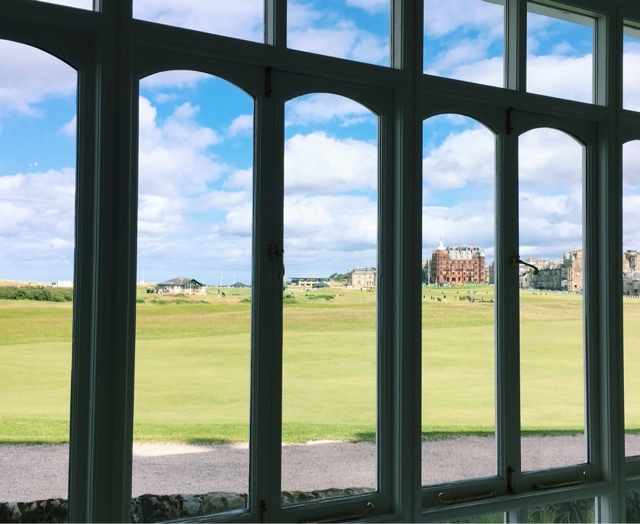 The conservatory itself is an absolutely beautiful part of the building, with almost floor to ceiling windows it is light and spacious with incredible views back up to St. Andrews over the 18th hole. 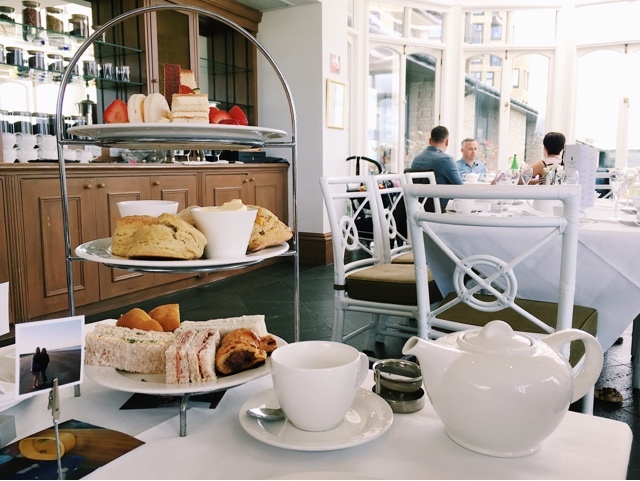 I think you can choose to have afternoon tea in a few of the hotel's various restaurants but I would definitely opt for the conservatory as the views are just incredible and it had a lovely classy yet relaxed atmosphere. The menu for the tea itself was extensive. There were the most exotic sounding blends from all over the world, however I decided to stick with a traditional option and went for the Old Course's special afternoon tea blend. It was lovely! There is also the option for a champagne tea, which I think is around £10 more expensive than the traditional. Now for the food. The bottom tier featured the most delicious mini sausage roll, a salmon and cream cheese brioche sandwich, and then normal white bread sandwich fingers filled with egg and cress, ham and a sweet tomato chutney and of course the classic cucumber. The standout had to be that mini sausage roll! The next tier held the scones, and by this point I was already ever so slightly full. I went for just a plain scone which came with a lovely light butter and sweet strawberry jam. I am not normally a scone kinda gal as I find them a little stodgy sometimes however these were perfectly light and tasty! Post scone I had a little break. It's surprising how filling finger food can be, however there was no way I wasn't trying some of those beautiful looking deserts! The macaroon was sweet with a slightly zingy citrus/passionfruit gel in the middle. The triangle of sponge was also divine, it was quite dense however felt light, and had a beautiful lime and zesty taste. The only thing I was disappointed by on this layer was the strawberry tarte like desert, which had a very thick crust and the custardy filling was a little strong on the champagne flavouring for me. And I normally love champagne! 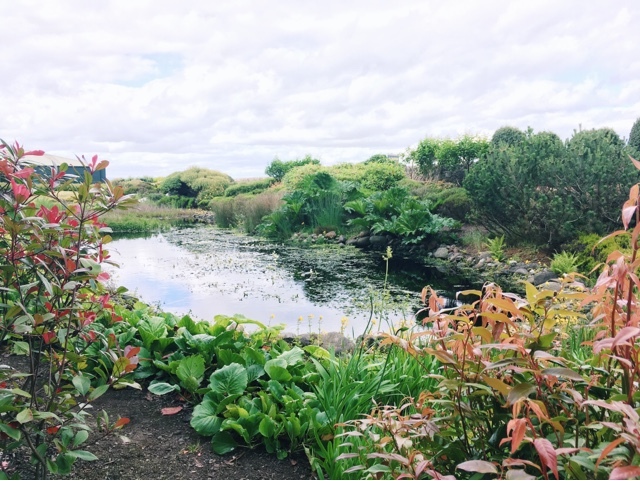 We were even allowed into the little pond garden to take some photos! Special mention has to also go to the toilets (classy Zara I know...) because they were absolutely beautiful! HOWEVER the whisky and water hand soap smelled wayyyy to strong of whisky and I was so not a fan. I feel like I still smell like whisky. Grim. 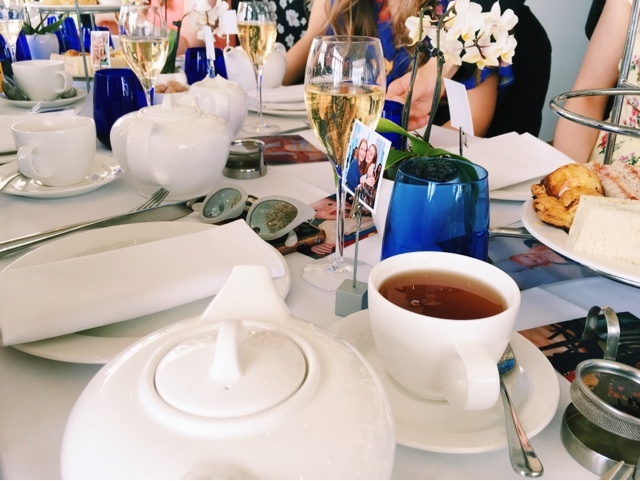 But, to end on a slightly classier and happier note, I had such a beautiful afternoon and if you ever are in St. Andrews and are looking to treat yourself then there probably isn't anything nicer than afternoon tea at the Old Course. At £20 it's not cheap, however is a truly lovely experience and in my opinion worth it for a special treat! Hope you're all having a great weekend! 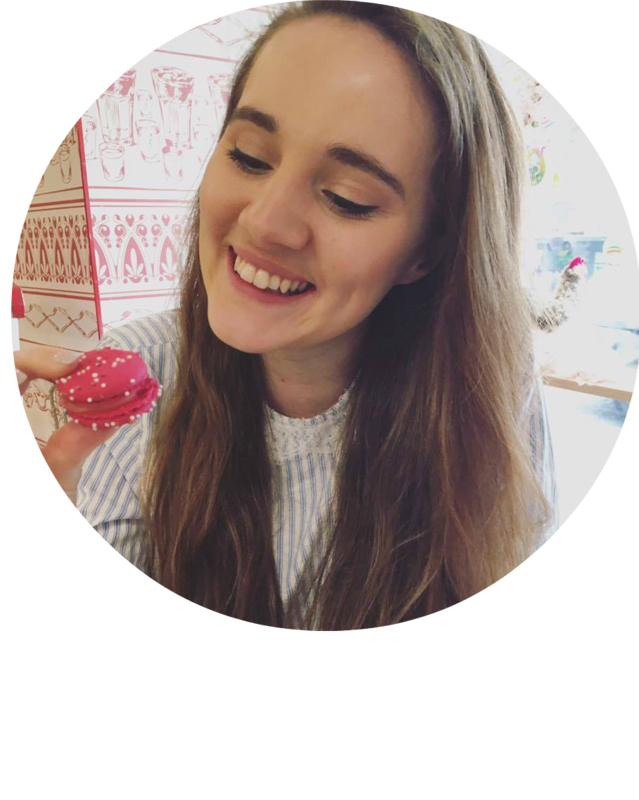 Let me know in the comments if you have been up to anything nice, or where your favourite place to go for afternoon tea is! I love reading them! This sounds so lovely! Afternoon tea is really nice to have and those little treats look delicious! Your photos are FAB hun! Oh wow your photos are incredible! I've only ever been to the hotel once before, back when I was really young, but I remember being in awe of how pretty the place was. Now you've got me wanting a trip to St Andrews for a day! i just love going for afternoon tea and the place you went looks so beautiful. What a lovely spot! Afternoon tea there looks completely beautiful, and I can't get over how gorgeously unique that light fitting is - wow!! 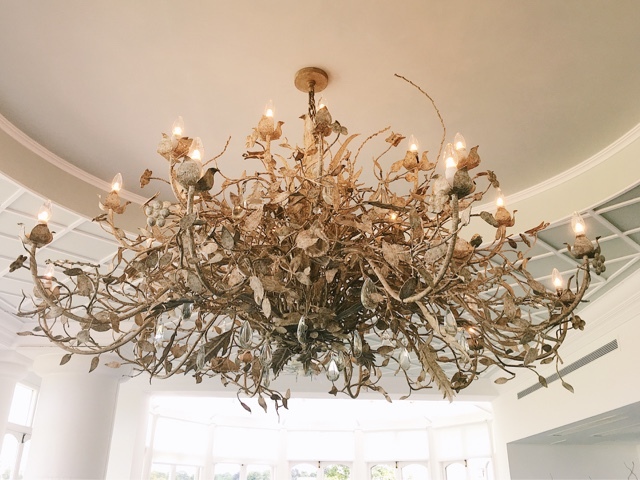 Oh girl I'm SO glad that I stumbled across your blog, this place looks/sounds AMAZING! Definitely going to check it out - thank you so much for sharing! I totally know what you mean about the toilets hahaha I went to get afternoon tea with my favourite ladies just before leaving St Andrews and I loved it!